Lotus are currently sixth in this year's F-1 championship. LONDON (Reuters) -- The Lotus Formula One team is not for sale despite lingering speculation about former engine partner Renault's intentions in the sport, team chief Matthew Carter said. Lotus switched from Renault to Mercedes-Benz engines at the end of last season but won titles in 2005 and 2006 as the French manufacturer's works team. Renault, who won four championships in succession with Red Bull from 2010 to 2013, have had a hard time since the switch in 2014 from V-8 units to V-6 turbo hybrids with Mercedes the dominant engine. "I know that Renault are evaluating their role within F1 at the moment," Carter told a sport's business conference organized by the UK’s Daily Telegraph newspaper. "I think they are from a fairly high level trying to decide whether they just make engines, whether they pull out of the sport altogether or whether they look at a works team. "My shareholders have said quite specifically the team isn't for sale," he added. Carter said Lotus had taken a 'huge step' in breaking with Renault to sign a deal with Mercedes until 2020 and would not be turning back. "I guess there's a famous quote that everything's for sale at a price but certainly shareholders have told me they don't want to sell the team, they don't want to give up their majority interest in the team," Carter said. "We believe that with a Mercedes power unit, we've given ourselves a chance to perform as we should do." 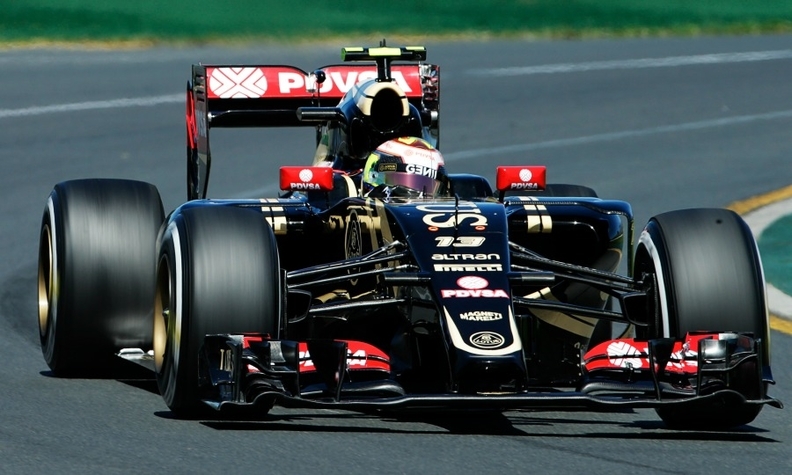 Lotus are sixth in the championship after scoring 16 points from five races so far this year.